The Office of Student Engagement and Experiential Learning (OSEEL) invite you to attend Undergraduate Research and Artistry Day (URAD) and the Community Engagement Showcase (CES). 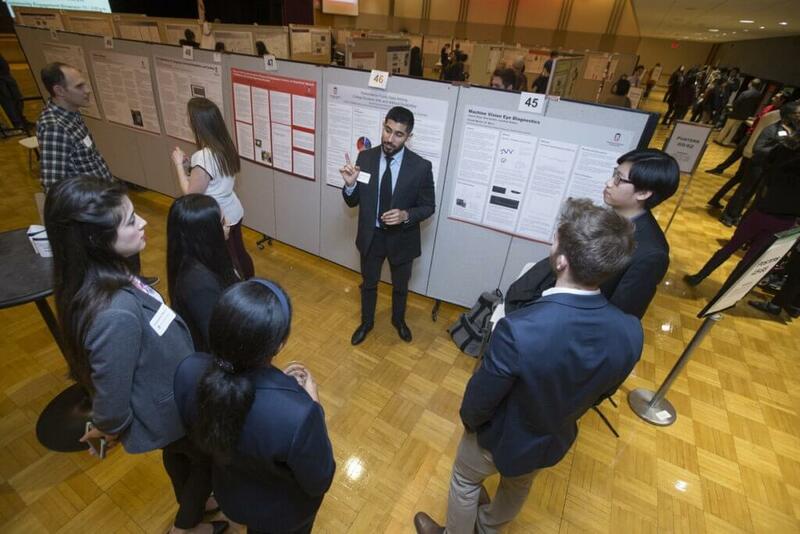 URAD and CES 2019 form NIU’s annual showcase of the research, artistry and community-based engagement projects that undergraduate students have been involved in throughout this academic year. Undergraduate students will be presenting their work through posters and exhibits for a chance to receive a monetary award by placing first, second or third in their respective award categories. Undergraduate students showcase their research, artistry and community-based engagement projects during the 2018 Undergraduate Research and Artistry Day and the Community Engagement Showcase. This year’s events take place on Wednesday, April 17, with various sessions occurring between 9 a.m. to 2 p.m. in the Holmes Student Center’s Duke Ellington Ballroom. Stop by and see the impressive research and community projects taking place at NIU! Light refreshments will be served. To preview the program booklet and learn more about these events, visit go.niu.edu/OSEEL.